The Wendy Schmidt Ocean Health XPRIZE was a $2 million global competition that challenged teams of engineers, scientists and innovators from all over the world to create pH sensor technology that could affordably, accurately and efficiently measure ocean chemistry from its shallowest waters to its deepest depths. Our ocean is in the midst of a silent crisis. While ocean acidification is well documented in a few temperate ocean waters, little is known in high latitudes, coastal areas and the deep sea, and most current pH sensor technologies are too costly, imprecise, or unstable to allow for sufficient knowledge on the state of ocean acidification. · 5 new companies were formed specifically to compete for the prize. · 10 new underwater technologies were created during the competition; several of these are patentable. · In the deep sea trials 5 sensors recorded data to 3,000 meters depth; prior to the prize only 1 ocean pH sensor on the planet could reach that depth. · 15 Teams plan to sell ocean pH sensors after the competition – a five-fold increase in the previous market for ocean pH sensors. · Team Durafet (second place in Accuracy), donated their $250,000 winnings to the University of Washington to enable them to add pH sensors on profiling floats around the world, further expanding oceanographic and ocean acidification monitoring. They proved that competing for the prize is not only about the money. Sunburst Sensors (Grand Prize Winners): Being in landlocked Montana, to test their sensors they had to ship or transport seawater from the coast, or make synthetic seawater in the lab. They are looking to expand their small-company and bring high tech jobs to Missoula, Montana. · Cooperation and Community: The finalist team HpHs flew from Japan to Missoula, Montana after the competition to discuss possible improvements for their technology with team Sunburst Sensors the winners of the accuracy and affordability purse. HpHS is further testing their pH sensor. · The high school team from Carmel, CA, pHFinescale, used the XPRIZE experience in their college applications that, successfully, included Stanford. This young Team crowd-funded their way to Phase 3 testing and one of the other competing teams, Team Durafet, was one of their primary funders. · Following the competition, one undergraduate Team member from Duke University’s team Blue Devil Ocean Engineering, Eeshan Bhatt, shifted his focus and is pursuing a graduate degree in ocean engineering at a prestigious program at MIT. · Public engagement: Tours of our coastal trial testing tank built on the pier of the Seattle Aquarium allowed hundreds of visitors an opportunity to be exposed to an XPRIZE competition and see the sensors over the course of the one-month test. Working with Philippe Cousteau, grandson of Jacques Cousteau, and his outreach organization EarthEcho, we held Google Hangouts with dozens of schools to discuss the issue of ocean acidification and have students interact with our teams and experts while doing field testing. 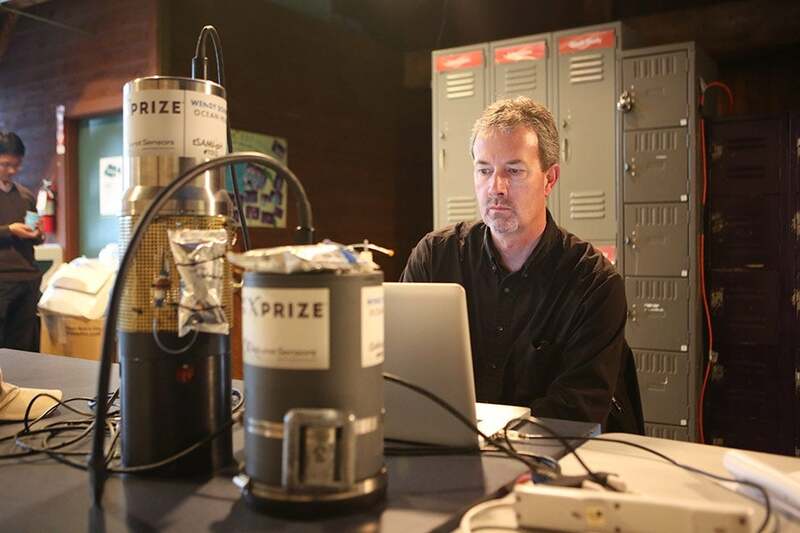 · Post-prize testing: through a grant with the State Department, XPRIZE has worked to train scientists and deploy the winning pH sensor technology in areas of the world that have zero Ocean Acidification measurements (off Africa, Fiji etc). The Southern California Coastal Water Research Project (SCCWRP) is further testing four competing ocean pH sensors off the California coast, including two of our winners.